My first game is finally out. 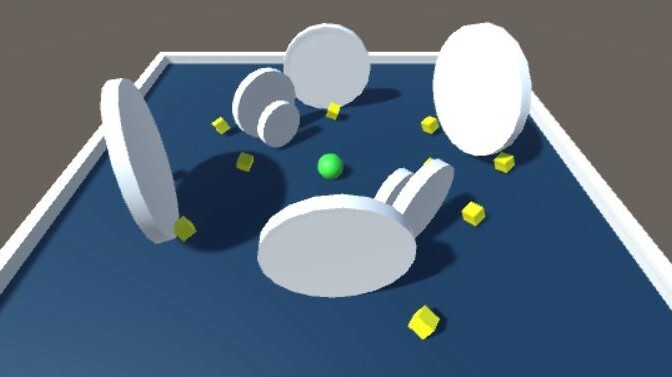 Rotation Revolution is a small game based off the "Roll-a-ball" tutorial from Unity. The goal of the game is simple, roll the ball around the board to get all 12 yellow floating points. Get all 12 to complete a level, there are currently 15 levels with different obstacles and an increasing level of difficulty. There is also local multiplayer so play with a friend and see who can get the most points by the end of the game. I hope you have fun playing and please leave any suggestions for how I can improve the game in the comment section of the game page.